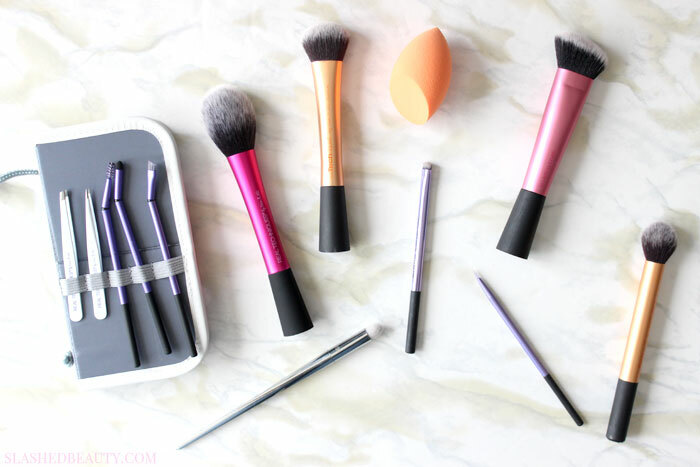 Can you believe our favorite budget brush brand has been around for five years already? 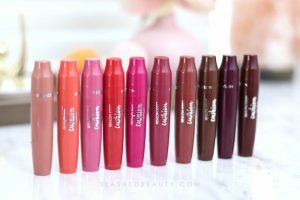 That’s right— Real Techniques just celebrated their 5th birthday, and their brushes have definitely overtaken my own collection over the years. It didn’t take them long to earn a cult following because of their affordability and quality, and I don’t think they’re going anywhere any time soon! 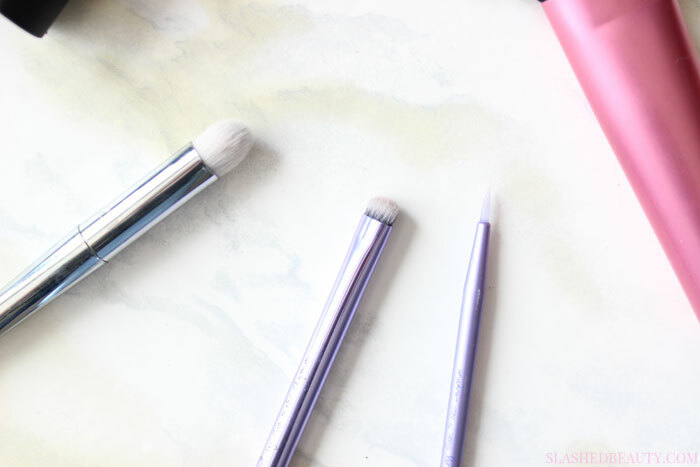 To celebrate this milestone, I wanted to share what I consider to be the best brushes from Real Techniques that I use the most often in my own makeup routine. Probably the brand’s most popular product, this sponge is a great tool for a smooth and blended look with liquid and cream products. The sponge is unique in that it has a flat side that helps blend larger areas at once, making it more preferable to the beautyblender in my book. I like using the sharp edge to get into small corners like under the eyes and next to the nose, or to precisely apply cream contour. When dampened, it grows in size and is extremely soft, making it perfect for blending. The Sculpting Brush makes this list because of its versatility. The angled shape makes it useful for contouring, the wideness great for blush, and the density allows it to be used for liquid and cream products. Sam Chapman herself says this is her favorite of the recent collections, and she uses it exclusively for foundation! The Contour Brush is unfortunately not sold separately, but it’s hands down my favorite brush to do contouring with out of my whole collection. The small round shape really fits well under the cheekbones and lends itself to easy blending when you want a more natural look. 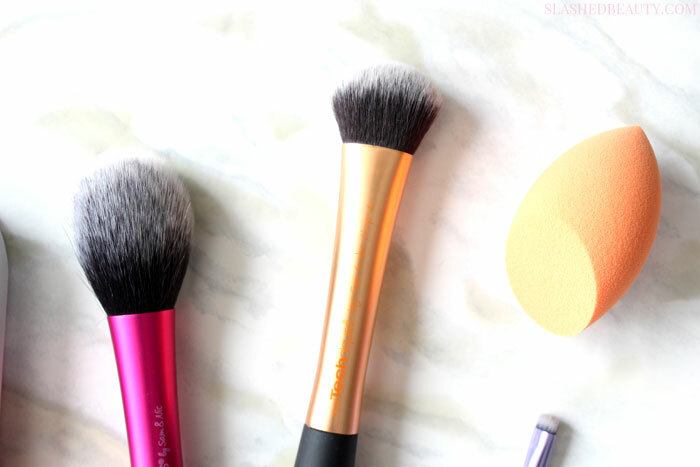 Funny enough, I actually have very rarely used this brush for blush! 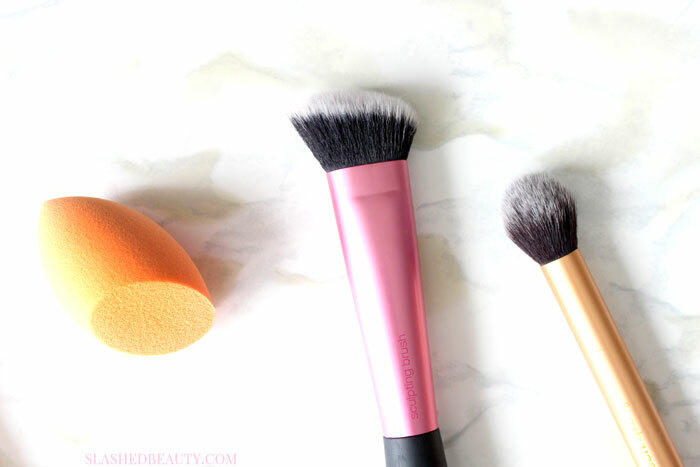 The Blush Brush is actually my favorite brush for setting my makeup with powder. The long, plush and flexible bristles are ideal for applying an even, thin veil of powder without caking it on. When using with blush, it diffuses the color beautifully for a professional application. Another cult favorite from the brand, the Expert Face Brush is an all-in-one tool for so many different uses. The firm bristles can handle liquid or cream foundations, but I’ve also used it with powders as it picks up product really well. This is a close second to the Miracle Complexion Sponge in its ability to blend face products and create a flawless and streak-free base. My favorite from their luxe “Bold Metals” line, the 201 brush has very densely packed, firm bristles that come to a tapered point. 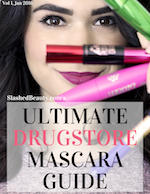 Its shape makes it great for packing color in the outer corner of the eye, and sweeping it into the crease. You can also use the very tip for blending color along the lash line. The Bold Metals brushes have longer, lighter and strategically weighted handles that make holding them easier for better application. Another one that’s not sold separately, but you’ll love the rest of the collection anyway, the Smudge Brush is part of the Collectors Edition Eyeing Set and is a must-have for smoky eye lovers. It’s my go-to for smudging liner or shadow near my lash line, and I also use it to define cut-crease eyeshadow looks. This brush answered all of my eyeliner prayers when it was released. I love gel liner, but it’s hard to find the perfect brush since after repeated use, sometimes bristles tend to start fraying. (No bueno for getting a clean, sharp line!) Enter: the Silicone Liner Brush. The silicone picks up and applies liner smoothly, and you will never have to worry about fraying or shedding bristles so you get the perfect line every time. One of the more recent releases, their new Brow Set has everything you need for brows #onfleek. In the set, you get angled tweezers and detailing tweezers for brow shaping and cleaning up fine hairs. The spoolie is a must have for grooming and blending product through the brows. The arch defining brush is great for powders and allows you to plot out your shape, while the brow brush brings it home for applying and blending the color. 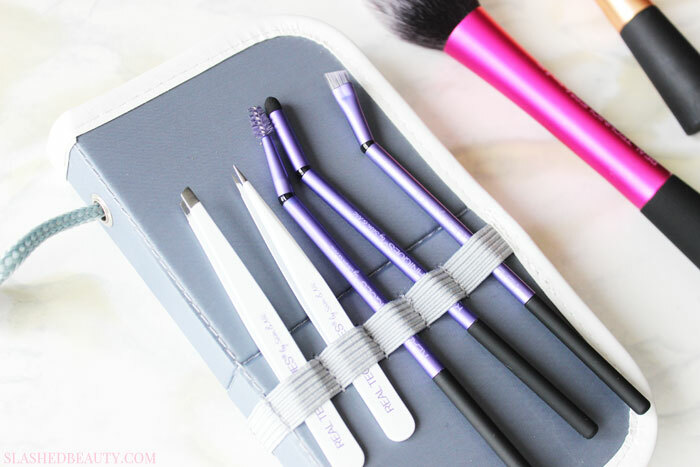 The brushes are all slanted for easy application, and it all comes in the standard panoramic case that acts as both a carrier and a brush stand for traveling. argh I should go wash mine tooooo -___- lol! I love Miracle Complexion Sponge, the Blush Brush, and the Your Eyes Enhanced Starter Set. The Starter Set has my favorite eye brushes. I bought three sets. All of their sets are always so expertly curated! Yes! They really do a great job. You have to! There’s a two pack for like $12 at Ulta!